That a Kung Fu practitioner have a stronger body and mind, is a common saying. But does it really improves ones health? Well, in this article Fibromyalgia patients benefited from Tai Chi. To start with, Fibromyalgia produces pain in the muscles, ligaments and tendons. The nervous system processes pain. The common symptoms are: Pain, Fatigue, Memory and Concentration, Sleep Disorders. Why are thousands of people gathering in National Parks of China to do Tai Chi in the early morning? Because they know that Tai Chi is a real good meditating method to benefit from. The practice of Tai Chi promotes the circulation of chi within the body, encouraging wellness and vitality of the person. Although many of these movements originally comes from the martial arts, this art form has developed into an exercise meant for relaxation and reduction of stress. I personally like Tai Chi a lot. It’s movement in calmness and Stillness within motion. Formless as Wind, Fluent as Water and strong as rock. 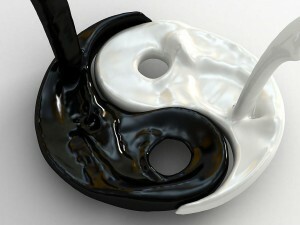 It includes elements of the Taoism and teaches us to center ourselves both emotionally and physically. Tai Chi practitioners builds up tremendous inner leg strength. The Beauty of the Tai Chi movements, filled with relaxation and that flowing sudden explosiveness. The picture next here seems beautiful, but is unfortunately not a form of Tai Chi. In the old days most of the people practice Martial Arts to defense itself and the weaker. Nowadays, people practice Kung Fu to maintain its body health, or simply because of interest. Some practices it to gain confidence, discipline and respect, the other does it for a living and so on . .